Happy Valentine's Day! 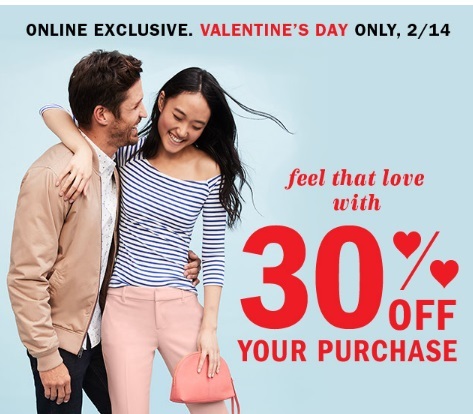 Old Navy has a Valentine's Day exclusive today for 30% off your entire purchase online! Enter the promo code KISSES at checkout online. Offer is valid today only, Tuesday, February 14, 2017.